France's most notorious criminal escaped from a penitentiary by helicopter. A massive manhunt was underway Monday morning for one of France’s most notorious criminals after he was busted out of prison by helicopter in a dramatic escape a day earlier. French Prime Minister Edouard Philippe said on radio Monday that 2,900 police officers were now taking part in the search. 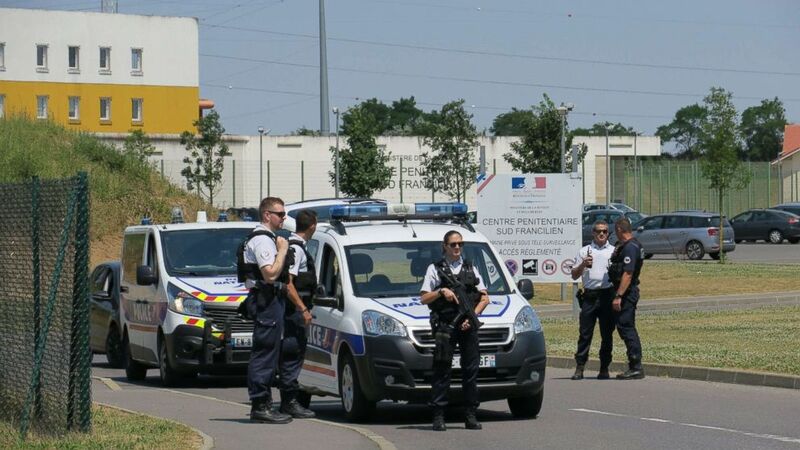 On Sunday, in an elaborately orchestrated escape, heavily armed commandos landed a hijacked helicopter on the grounds of the lockup near Paris, overwhelmed guards and whisked gangster Redoine Faid to freedom in just a "few minutes," officials said. Faid’s escape from Reau Prison, south of Paris, marked the second time in five years that he has absconded from a maximum-security penitentiary. 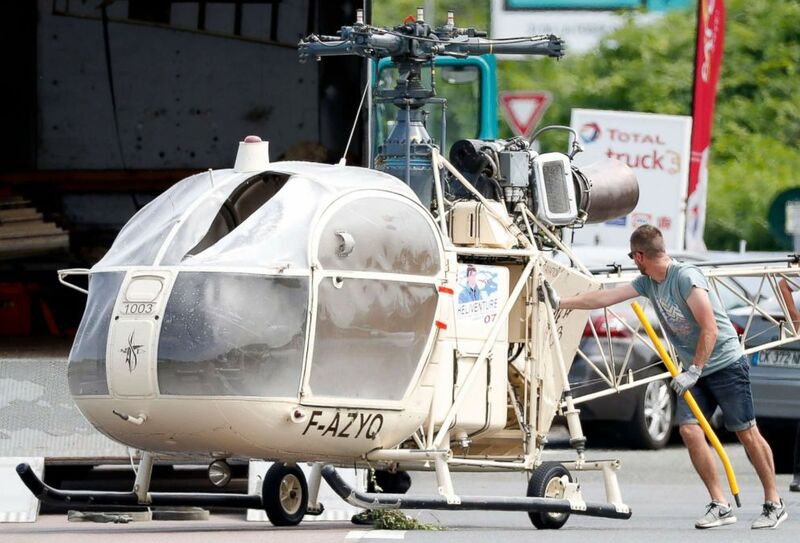 (Ian Langsdon/EPA/REX via Shutterstock) Investigators transport an Alouette II helicopter allegedly abandoned by French prisoner Redoine Faid and suspected accomplices after his escape from the prison of Reau, in Gonesse, north of Paris, France, July 1, 2018. “It was a spectacular escape. It was certainly a very well-prepared [prison break]," French Justice Minister Nicole Belloubet said during a news conference Sunday outside the prison. Belloubet said three armed accomplices wearing masks and dressed all in black hijacked the helicopter with its flight instructor and forced him at gunpoint to land in the prison courtyard about 11:30 a.m. local time. "Two commandos entered the prison to look for Redoine Faid as the third man was staying with the helicopter instructor," Belloubet said. "The two men used a grinding machine to open the door to the visiting room where Faid was and picked him up and left." The commandos also used smoke bombs to shield their movements from surveillance cameras, Belloubet said. Faid, 46, was serving a 25-year sentence for a botched 2010 armed robbery in which 26-year-old French police officer Aurélie Fouquet was killed during a gun battle. Belloubet said Faid was in a room visiting with his brother, Brahim, when the commandos burst in, grabbed Faid and hustled him to the waiting whirlybird. 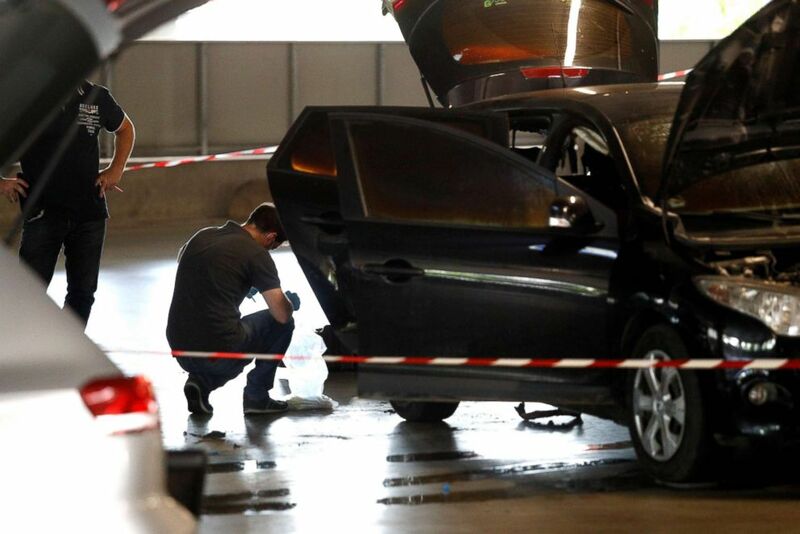 (Geoffroy Van Der Hasselt/AFP/Getty Images) This picture taken on July 1, 2018 in Aulnay-sous-Bois, north of Paris, shows a forensic police officer investigating a car abandoned by French armed robber Redoine Faid at O'Parinor shopping mall parking after his escape onboard a helicopter from a prison in Reau. Guards at the prison, who were unarmed, told officials they were overwhelmed by the heavily armed men and could do nothing to stop Faid from bolting, officials said. The helicopter was found abandoned and torched in Garges-les-Gonesse, a town in the suburbs north of Paris. Police believe Faid was transferred to a waiting getaway car, which was also found ditched. The hijacked pilot, a member of a flying club near Paris, was released unharmed, Belloubet said. Belloubet said the prison break likely took months to plan and that authorities suspect Faid's accomplices had thoroughly cased out the prison and possibly used drones to determine the best spot to land the helicopter. Belloubet said the commandos put the helicopter down in the only place in the prison that was not covered by anti-helicopter netting. "A few months ago, the prison’s staff said they saw drones flying over the prison," Belloubet said. Faid's brother, Brahim, was detained by authorities for questioning. 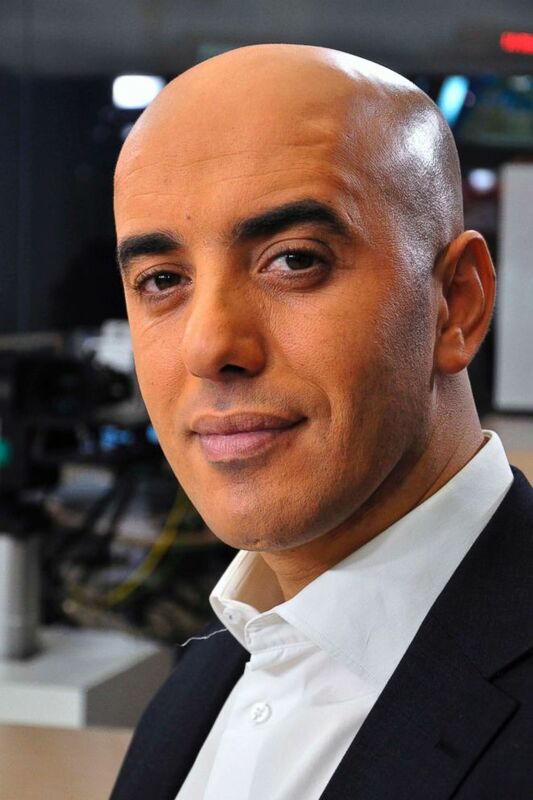 (IBO/Sipa via AP) In this photo dated Nov. 22, 2010, notorious French criminal Redoine Faid poses prior to an interview with French all-news TV channel, LCI, as he was promoting his book, in Boulogne-Billancourt, outside Paris, France. The prison break came a little over five years after Faid broke out of the Sequedin prison on April 13, 2013. In that escape, Faid used explosives smuggled into him to blast through five prison doors, took four guards hostage and used them as human shields while making his way to a getaway car and fleeing. He was captured on May 29, 2013, when authorities found him hiding out at a hotel in Pontault-Combault, east of Paris. Faid is something of a celebrity criminal in France, having embarked on a life of crime in the 1990s when he and his gang pulled off a series of bank- and armored-car heists. (Maxppp via ZUMA Press) Redoine Faid escaped from this French Jail with a helicopter flown by armed accomplices, July 1, 2018. After completing a 10-year prison sentence, Faid wrote a book in 2009 about his life in crime. Faid is not the first prisoner to escape in a helicopter. His prison break marked the 12th time since 1986 that an inmate in France has used a helicopter to flee prison walls. The most famous helicopter escape in France occurred in 1986 when bank robber Michel Vaujour's wife, Nadine Bourgain, landed a chopper at the La Sante Prison on the Left Bank of Paris, plucked up her husband and flew away. Authorities later learned that Bourgain spent months before the escape teaching herself how to fly a helicopter.